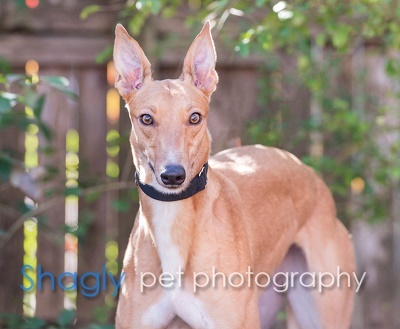 Dosey, aka CTW Gosh Dosey, is a 2 year old red fawn female born January 1, 2015. Her sire is Bella Infrared and her dam is CTW Giftofbronze. Dosey has 4 races to her credit, all at Valley Race Park in Harlingen, TX starting December 16, 2016, and ending January 8, 2017 with an injury classified as a calcaneous fracture. Her surgery was performed on January 16, 2017, by Dr. Bob Radasch of Dallas Veterinary Surgical Center . Pins and wires put the fracture back in place, and Dosey was placed in an external fixator for the next 8 weeks. She will be kept very quiet in her foster home. It is not known at this time if Dosey is small animal or cat tolerant. Dosey's x-rays show that her leg is healed. 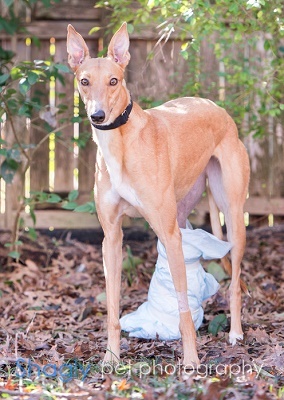 She has completed her medical procedures and is ready to find her forever home.